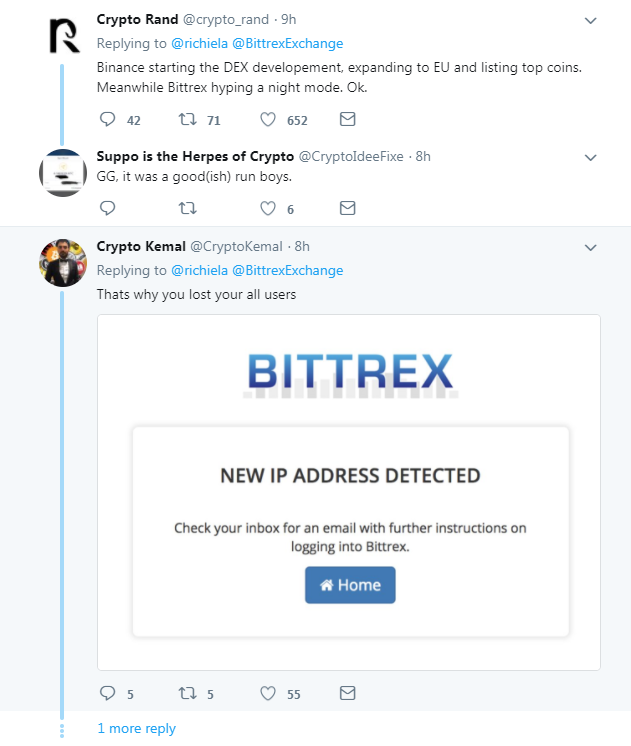 Today richie of Bittrex trolled people with a tweet. But the stuff you forget is Bittrex is an amazing business but these guys still have a sense of humour. 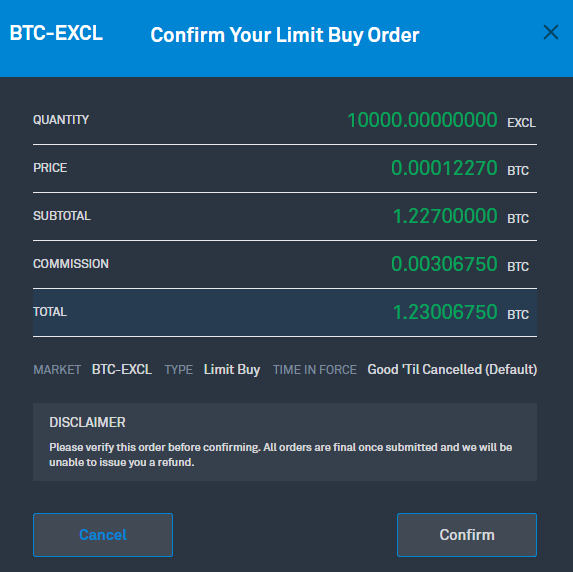 Actually, he meant new Bittrex is coming to be live soon and currently on https://beta.bittrex.com/ you can see how it's going to look and work like (we do expect more features than this sneak peek). I also do think there will be more features, and more functionality. But yeah they roasted them on those tweets. LOL. I started my crypto journey on Bittrex and it's been good to me. I have since moved on to use Binance more but I still have a few coins on Bittrex, I still think it's better than a few other platforms out there, functionality wise. Looking good. It could have done with a refresh and this looks like it will hit the mark. Wow..... I love the new interface its smooth and simple. Thanks for this info @kingscrown. Very nice post @kingscrown..nice to know you..This is a good information. Yeah, I agree with the response it got. There are more important things to do than that. Like allowing new sign ups for instance. Binance rocks! Done with Bittrex. Its no wonder they grew into biggest Crypto exchange in just 8 months. How come that you almost got 500 upvotes with only 12 comments? People use to talk ehen there is a post like this... I suspect that it is the lack of activity on Steem that makes its presence sensed. Congratulations @kingscrown, this post is the sixth most rewarded post (based on pending payouts) in the last 12 hours written by a Hero account holder (accounts that hold between 10 and 100 Mega Vests). The total number of posts by Hero account holders during this period was 345 and the total pending payments to posts in this category was $3502.32. To see the full list of highest paid posts across all accounts categories, click here. I am interested in making an investment in Bittrex in cryptocurrencies but I am from Venezuela and it has been difficult for me. In Venezuela bittrex is the most used platform for crypto.